Poverty is rising inside the U.S. even among those who work full-time and overtime jobs. There are other aspects of deprivation which are the hallmark of rising austerity including the deterioration of the conditions within the public school systems, the lack of municipal services, environmental degradation, the continuing threats of homelessness and employment dislocation. In the U.S. educators have been protesting and striking for wage increases and improved conditions of employment. From West Virginia, Kentucky, Arizona, Puerto Rico to Michigan and beyond, teachers and other workers within the educational systems from K-12 to colleges and universities, are exposing the fact that the denigration of intellectual labor is pronounced. Educators are toiling longer hours for less pay and fewer benefits. Schools are closing due to budget cuts while existing buildings are falling into disrepair forcing students into overcrowded facilities and classrooms. Teachers are forced to utilize greater portions of their meager salaries to purchase supplies for students. Courses in the arts, sports programs and field trips have been slashed. The frustrations of the teachers could very well dampen the enthusiasm for transmitting and receiving subject matter. Right-wing pundits have for decades blamed educators for the failure of the public schools in order to justify the further corporatization of education through charter schools and the subsidizing of private instruction with the tax dollars of working people. These fabricated accusations thrown at teachers often accompany attacks on unions saying that collective bargaining is antithetical to scholastic achievement. Of course the tax cuts benefit the upper class under the guise of providing “incentives” for investment which ostensibly creates jobs for the working class. This is a ridiculous assumption which has proven itself as such over the last three decades. Consequently, the Conservative trend within state and federal governments has rendered the essential requirements for a quality education unfulfilled. However, the program of the Democratic Party on the local, state and national levels does not offer any real alternative which can provide hope for a significant improvement. 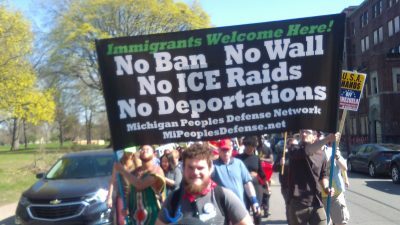 In Detroit a conference held on March 24 was both timely and substantive as it relates to the current situation in the U.S. and internationally. 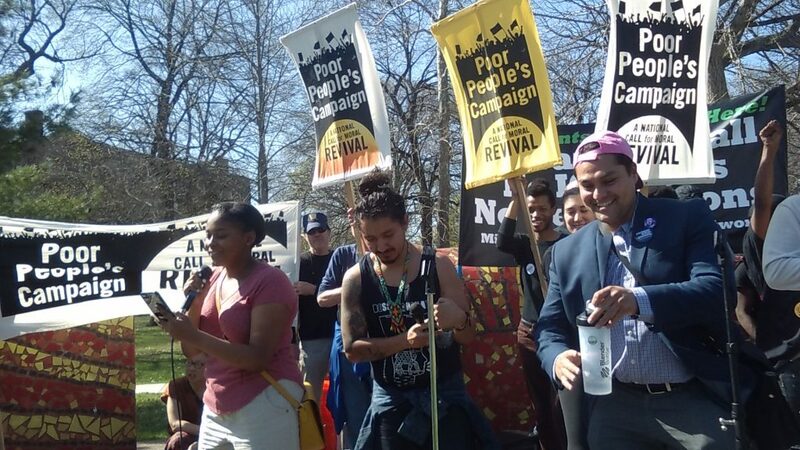 The National Conference to Defeat Austerity (NCDA) brought together over 200 delegates from across the country and Puerto Rico. Panel discussions, workshops and cultural presentations not only addressed the necessity of united action in the areas of housing, water rights, education, municipal services and finance, anti-racism and legal injustices, the gathering provided an outline for the contemporary movements which are anti-capitalist in character. Renewed plans for the realization of water sustainability, a moratorium on mortgage and property tax foreclosures, an endorsement of the renewed Poor People’s Campaign (PPC), the demand for higher wages for restaurant and hospitality workers, unconditional solidarity with the people of Puerto Rico who are being subjected to a similar contrived bankruptcy which Detroit had experienced during 2013-2014, were some of the resolutions passed at the conclusion of the NCDA. 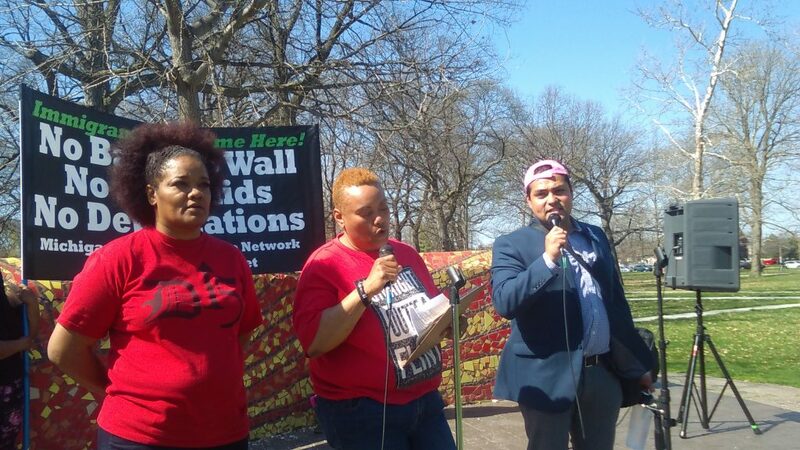 May Day in Detroit attempted to continue the alliance which has been developing since October of last year when the Moratorium NOW! Coalition and a host of other organizations challenged the reckless public relations myths generated by the corporate and bank-led administration of comprador Mike Duggan when he hosted the World Conference of Mayors. Detroit is by no means a model for urban revitalization due to the ongoing ruling class-driven policy which is further entrenching poverty among the majority African American population. Every scheme purportedly designed to turn the city into a showcase for capitalist vultures and voyeuristic tourists has not resulted in the desired outcomes. The infamous Q-Line (Quicken Loan) which took millions of dollars to build, funds which could have been utilized to enhance the citywide and nearly non-existent regional transit system, has not even collected 50 percent of its projected revenues. Here is yet another “white elephant” such as the Little Caesar’s arena on the outskirts of downtown where the taxpayers are potentially liable for the $800 million plus for a prestige project which will not benefit the people who live in the city. Clark Park on the southwest side was the scene of the Detroit May Day rally and demonstration through this heavily Latinx and increasingly Muslim neighborhood. The unity of African Americans, Latinx, Asians and progressive whites was in evidence. The framework of such a coalition of forces portends much for future of the city and the U.S. as a whole. Capitalism and imperialism in the contemporary period can only drive down the standard living of the people. State repression and corporate greed are the twin sides of an economic system which has long outlived its effectiveness and usefulness. Trump’s militaristic program against Palestine, Syria, Afghanistan, the African Union member-states, Cuba, the People’s Republic of China, the Democratic People’s Republic of Korea (DPRK) and the entire region of the Caribbean and Latin America poses a profound challenge for those who understand the legacy of colonialism and neo-colonialism. The dreaded Pentagon budget is not letting up in its devouring of the social wealth of the working people.